Feminine pink flowers with gold ribbon on a wrist corsage. Striking blush rose boutonniere against gray pinstripes. Boutonniere for a pink or blush wedding. 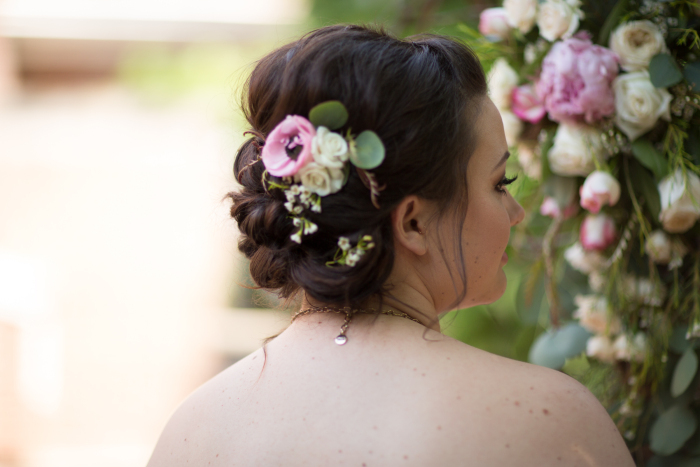 Lovely pink and white flowers finish a romantic hair style. 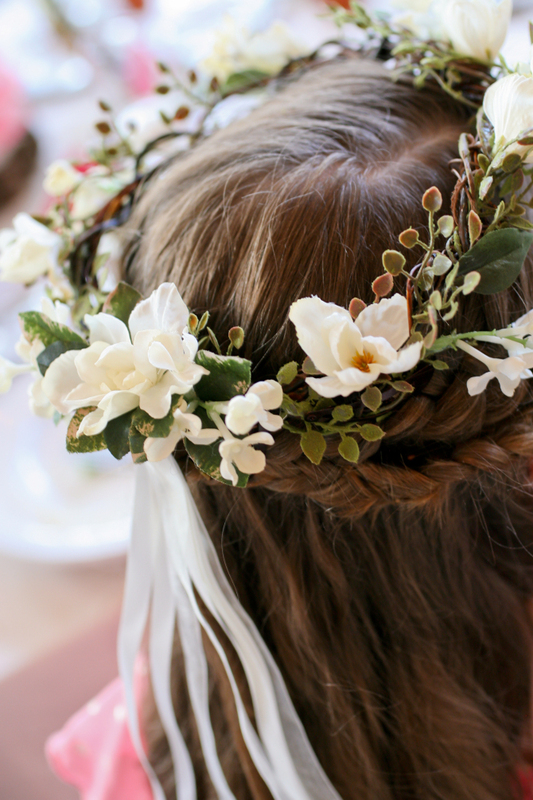 A sweet daisy chain crown for a flower girl. A silk flower crown for a sweet girl. A chain of daisies wristlet. Coral and pink wrist corsage for the bride’s mother. Groom’s boutonniere of mango calla and berries. Gardenia boutonniere for a classic, vintage, or formal wedding. 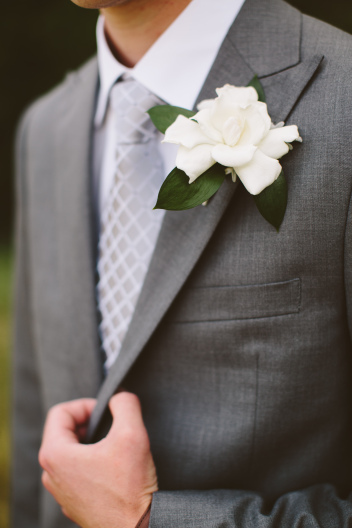 Soft color palette and lots of texture in this boutonniere.